The October 2014 edition of Digital Education, the free ezine for those with a professional interest in educational ICT and Computing, was published a few days ago. Bits and pieces: items to think about, resources to explore – self-explanatory! Research focus: Steve Wheeler – Steve is an academic at Plymouth; what’s he working on at the moment, and why is it relevant to the rest of us? Why not subscribe now? It’s free! Here’s the link: Yes, I must sign up now! 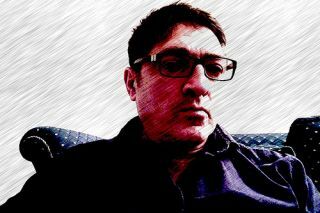 Digital Education is produced by me, Terry Freedman, and this is a self-portrait I did. Well, I applied an effect in a painting program!